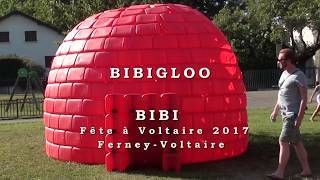 The Bibigloo is an architectural postmodernist inuit concept. 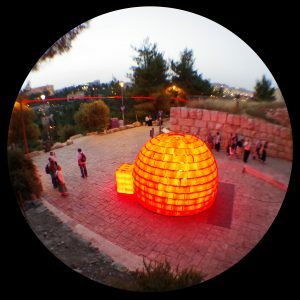 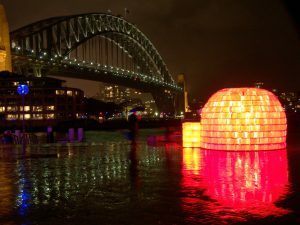 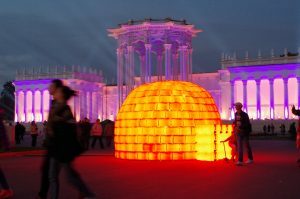 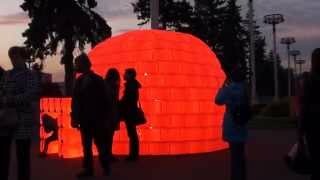 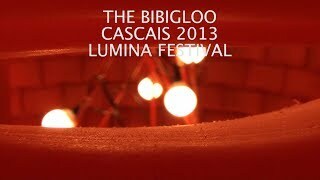 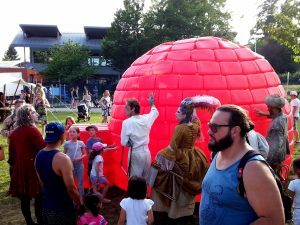 The Bibigloo (contraction of Bibi and Igloo) is both a work of land art, design, light source and a plastic art installation. 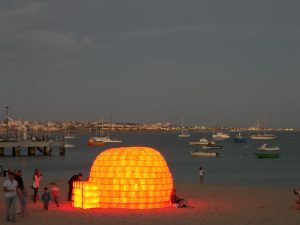 It is a habitat type polyethylene igloo to replace the 20th-century igloo traditionally made of ice. 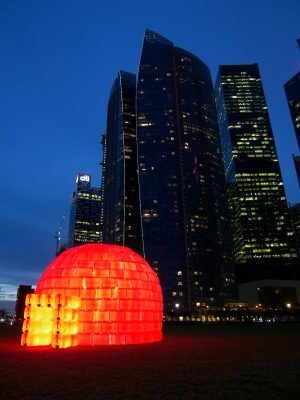 Indeed, following the thawing of the ice, innovative solutions must be found to relocate the Inuit people. 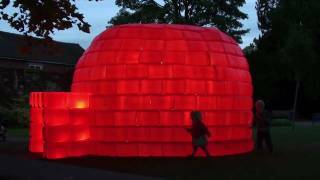 With 4 meters in diameter and 2,7 meters high, the Bibigloo is spacious. 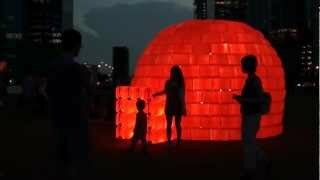 The Bibigloo is made with 250 recycled containers and low consumption bulbs. 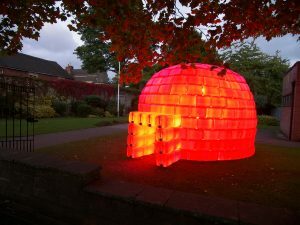 The Bibigloo has been created at first for the contemporary art Festival of Wirksworth (UK) in 2010.